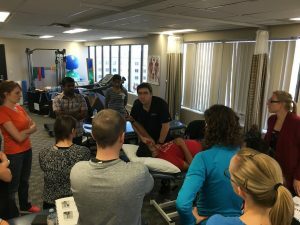 The Physiotherapy treatment of musculoskeletal injuries has progressed from its foundation in remedial gymnastics and active exercise to therapist-applied passive physiological movements and on to therapist-applied accessory techniques. The Brian Mulligan concept of mobilizations with movement (MWMS) in the extremities and sustained natural apophyseal glides (SNAGS) in the spine are the logical continuance of this evolution with the concurrent application of both therapist applied accessory and patient generated active physiological movements. Learn more about the Mulligan Concept of MWM here.